UAV technology is one of the most rapidly evolving fields in aviation. While recreational drones may be made of many different materials, military drones are generally created from composite materials which reduce their weight and make it possible to fly at higher altitudes. Guided flight is achieved via remote control. Since the time of the Wright Brothers, we’ve known that controlling the flight of an aircraft requires many moving parts. Even a helicopter has a smaller rear rotor to fly successfully. Recreational drones, too, employ multiple propellers and even military drones use multiple propeller blades. 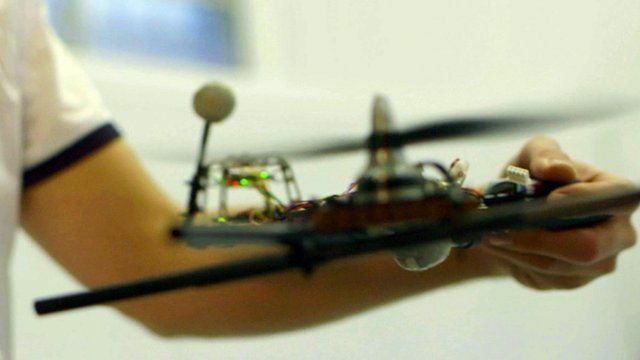 However, it turns out that there is a new experimental recreational drone developed at the Institute for Dynamics Systems and Control at ETH Zurich that can be operated nimbly with a single propeller blade.